1. 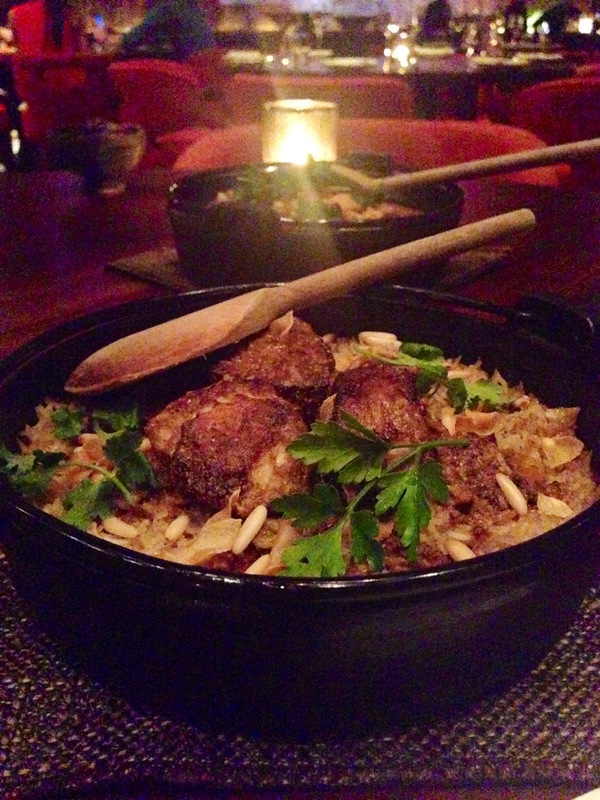 Experience Iftar this Ramadan at Q’bara. 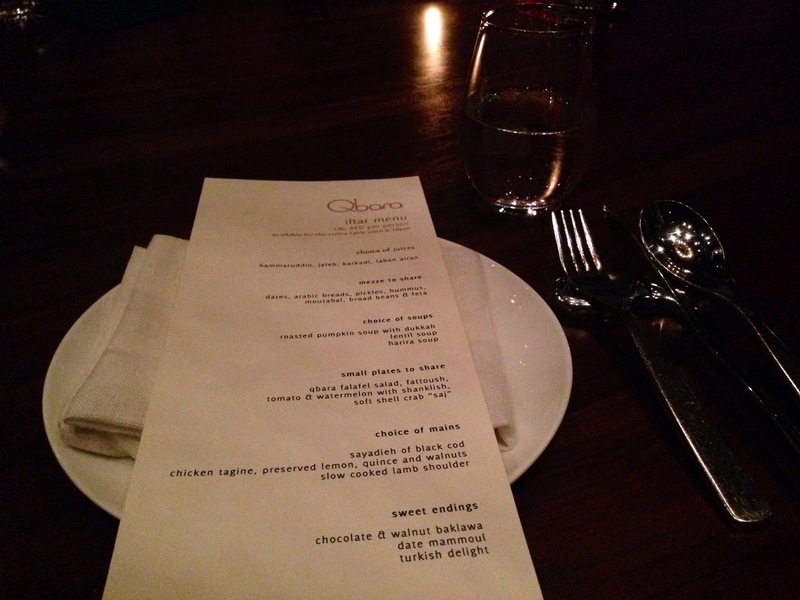 Amazingly great value for money: Menu highlighted below is 180 per person. Great variety of food with new Ramadan introductions and Q’bara specials (Must Haves: Pumpkin Soup & Sayadiyeh of Black Cod. 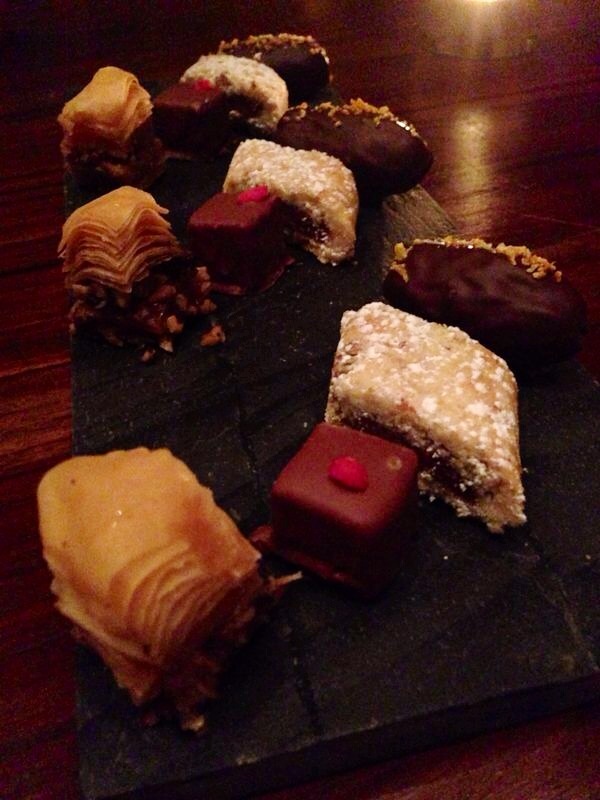 – Delicious Desserts…Wish I could take a box of those delights home! 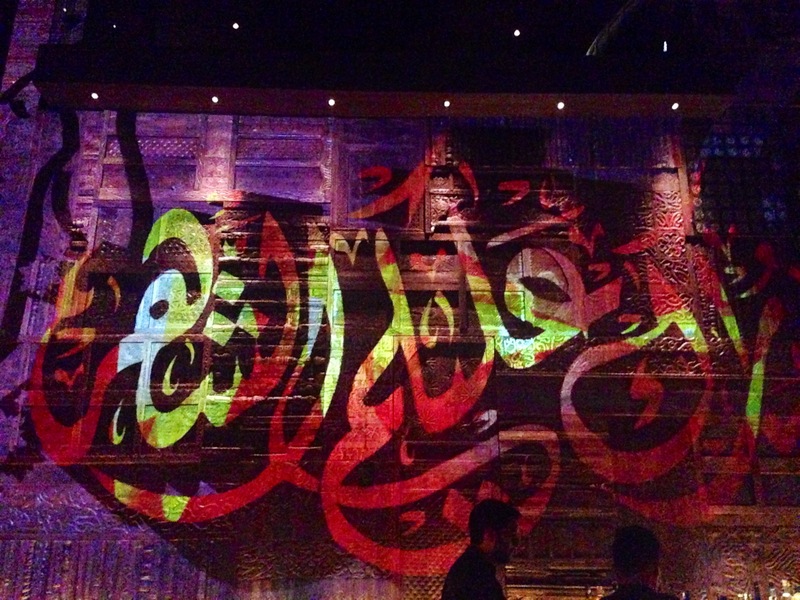 – Wonderful Atmosphere: Ramadan themed wall projections. Q’bara comes second to a home-cooked meal with the family. 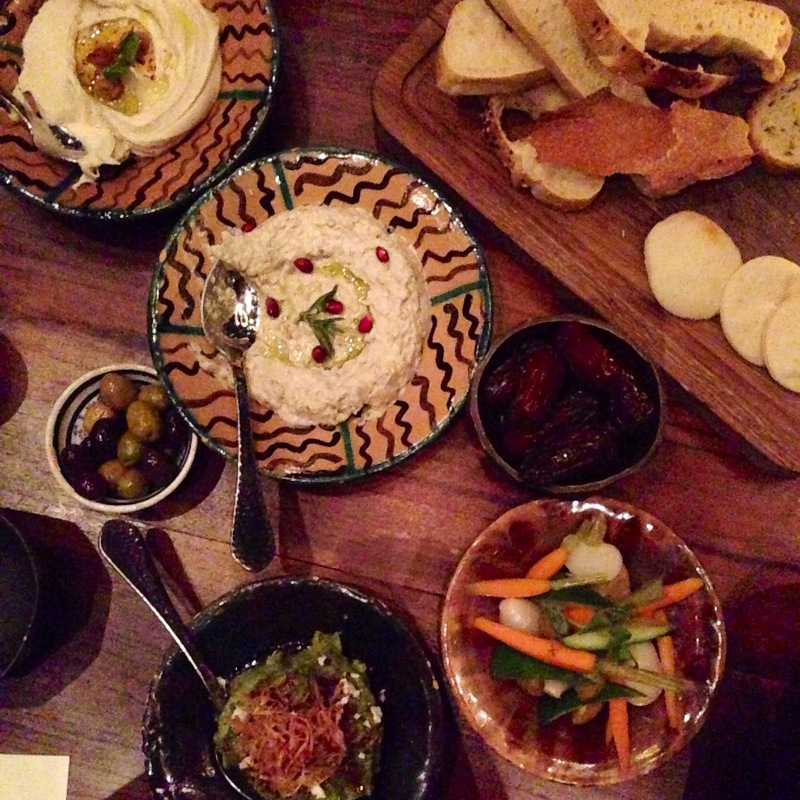 The second I think of eating out, Q’bara is my #1 choice. 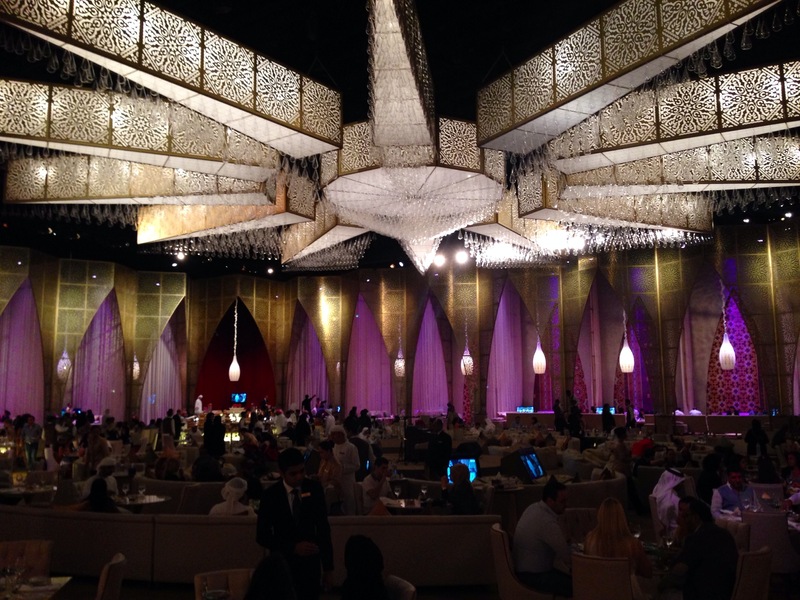 Ramadan is all about tent experiences and one of my favorite tents in Dubai is Al Majlis. 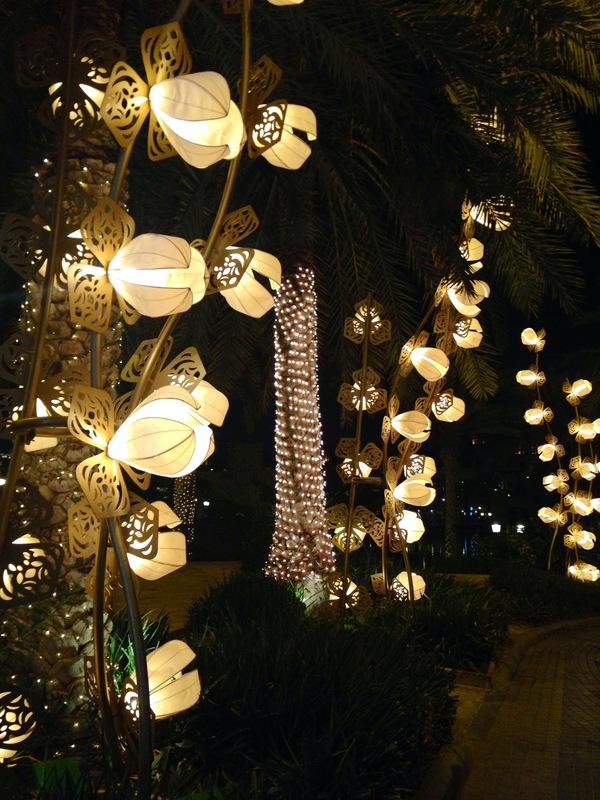 Al Majlis is the exclusive Ramadan venue at Madinat Jumeirah, located opposite Mina A’Salam. The venue is grand, yet cozy, offering both seated tables and majlis areas. 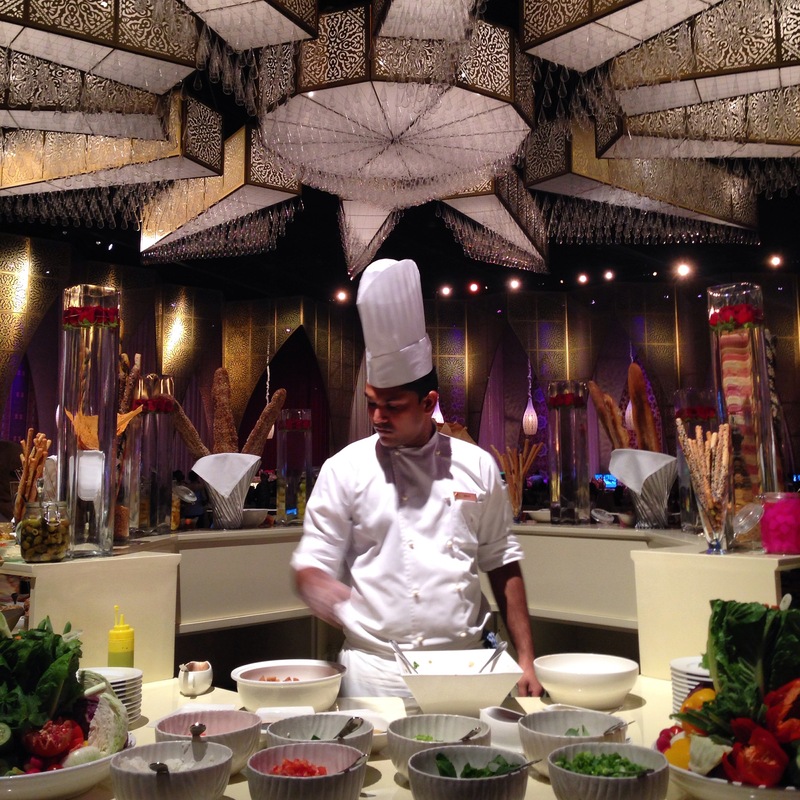 For Iftar, they offer a buffet priced at 195 AED per person. Usually I’m not a fan of buffets, especially for Iftar during Ramadan, but the Jumeirah group does a good job in maintaining the presentation and quantity of food. The buffet area is also wide spread, allowing easy access and good traffic flow. 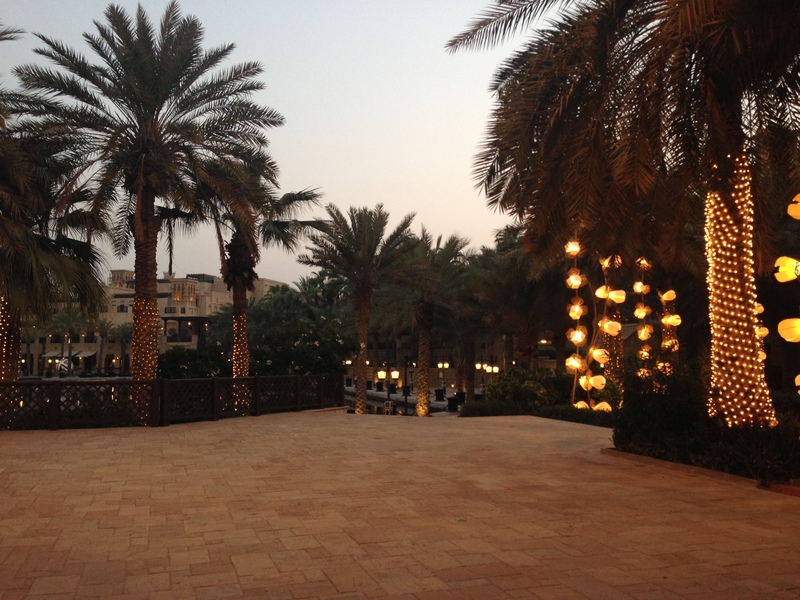 Al Majlis is a great spot for Suhoor. 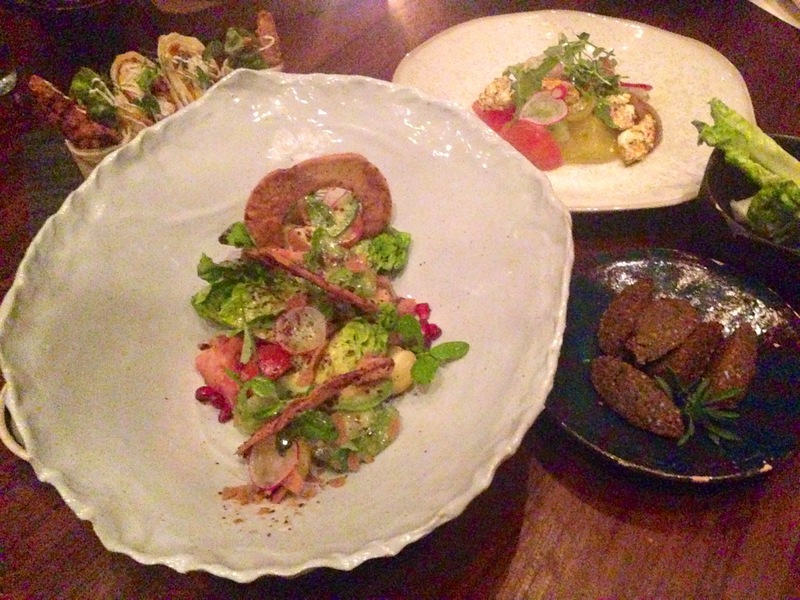 Suhoor is a la carte, and early reservations for big groups is recommended. I usually enjoy tents the most for Suhoor versus Iftar. 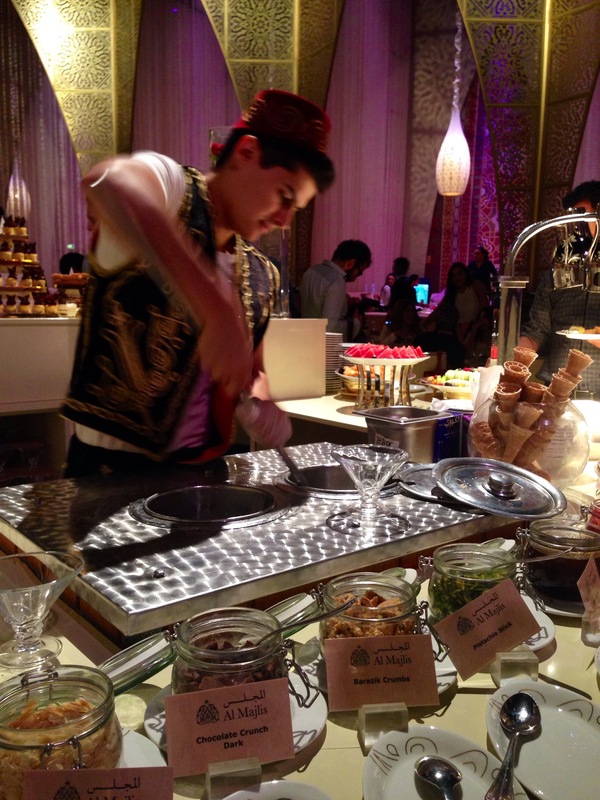 – Iftar Buffet: Nice salad bar, good variety of food, and a fun dessert station. 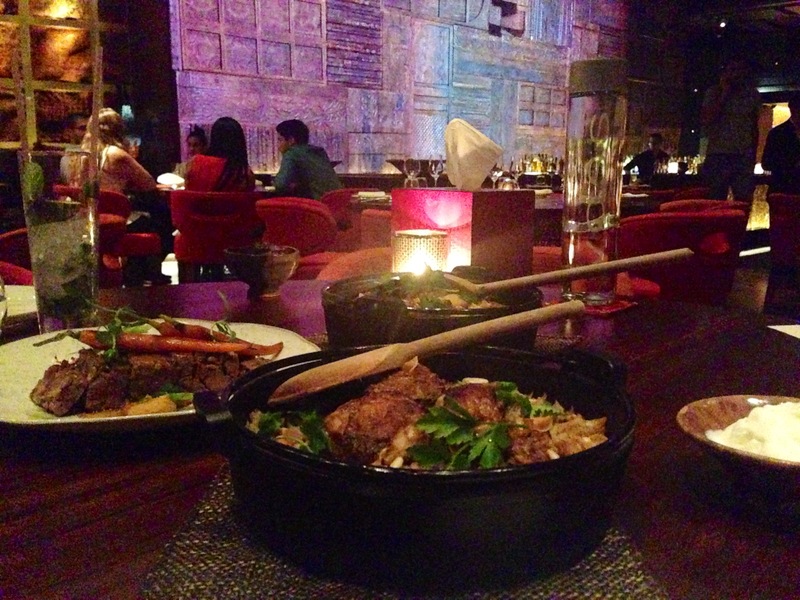 +971 366 6384 or al-majlis@jumeirah.com for reservations. 3. Indulge in Sukar’s Desserts! It’s always difficult to find the perfect treat to take along with you to family and friend gatherings during Ramadan. Specifically something unique that fits the theme. Ever since I stumbled across Sukar House of Desserts in JLT my cake ordering worries have disappeared. 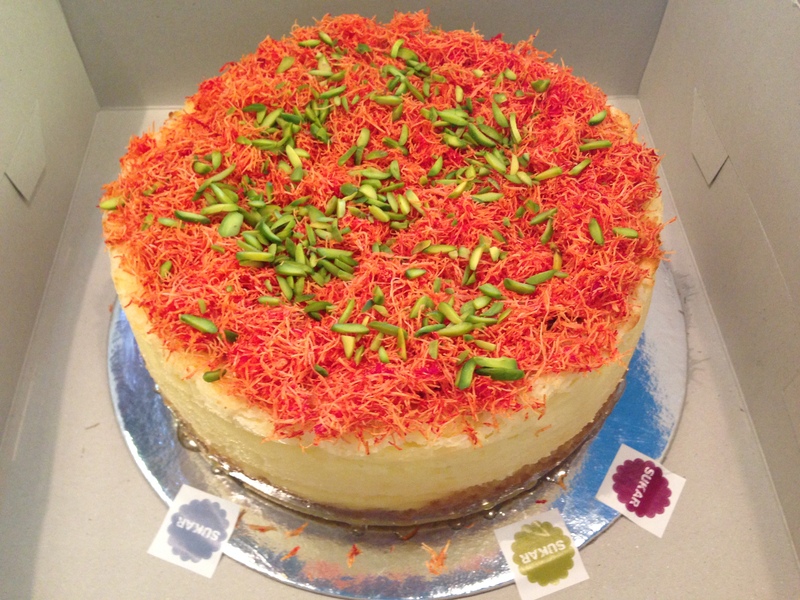 Sukar’s Knafe Cheesecake, priced at 220 aed, is my cake of choice for all gatherings this Ramadan, it’s absolutely delicious and highly recommended! 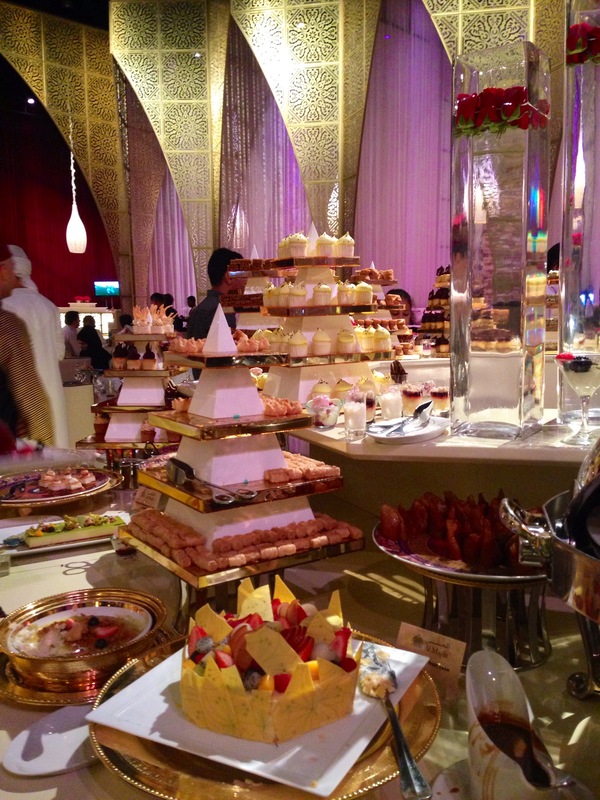 Posted in Foodies and tagged Al Majlis, Desserts in Dubai, Iftar in Dubai, Madinat Jumeirah Tent, Qbara Dubai, Ramadan in Dubai, Suhoor in Dubai, sukar house of desserts. Bookmark the permalink.